Collects Marvel Two-In-One (1974) #21-36. 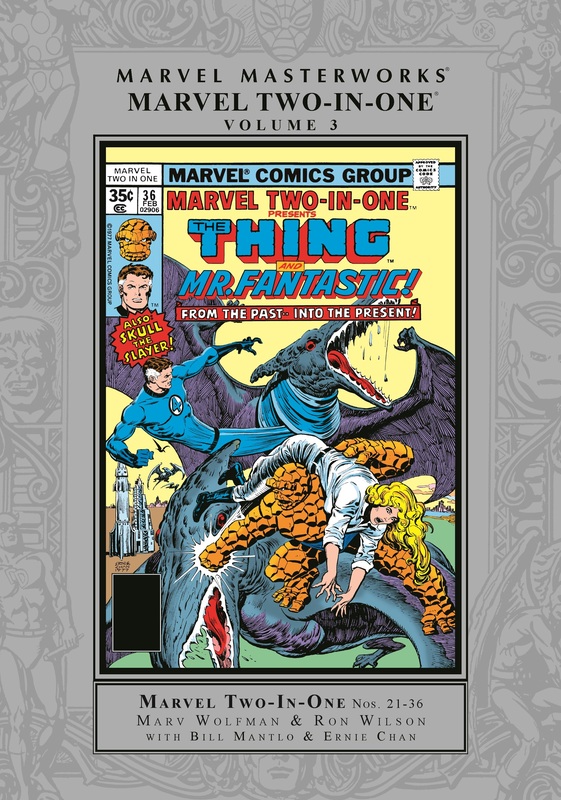 The Ever-Lovin' Blue-Eyed Thing is back with the Marvel Universe's greatest stars and one from a world all his own. 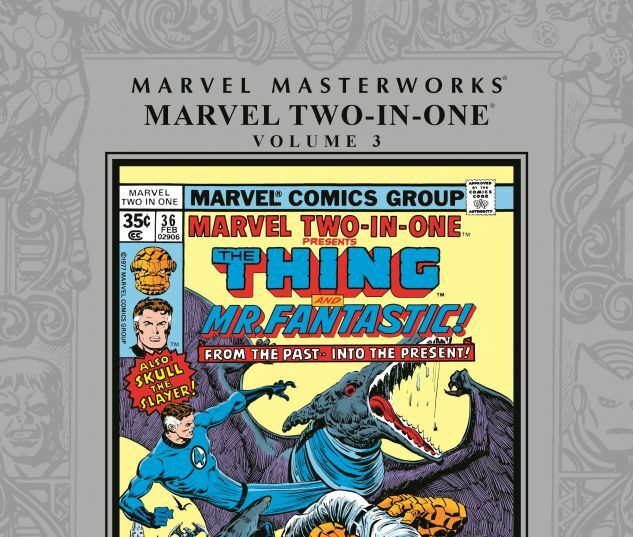 The Marvel Masterworks are proud to reprint, for the fi rst time ever, the Thing's MTIO adventure with Doc Savage! It kicks off a multipart saga spanning decades and the cosmos itself, and this will be your only chance to experience the story! The adventure doesn't stop there, either. Deathlok arrives on an assassination mission, and the Thing must stop him. Thor, Iron Fist, Black Goliath, Nick Fury, the Sub-Mariner, Shang-Chi and Spider-Woman will enter the fray, all while Mr. Fantastic seeks to free Deathlok's mind. And if that's not enough for you, the Bermuda Triangle sends the Thing back in time and he punches some dinosaurs!